The Cincinnati Zoo recently announced the hatching of a Raggiana Bird-of-paradise chick. This is the Zoo’s third chick, and they are one of only four facilities in the U.S. to breed and raise the species in the last ten years. Only eleven AZA zoos house this species. According to the Cincinnati Zoo, the parents have a habit of breaking their eggs. In an effort to do what is best for the survival of the chick, keepers opted for “ghost rearing”. “Ghost rearing” involves a procedure of feeding the chick from behind a screen, to disguise where the food is coming from, and prevent the chick from imprinting with humans. The Zoo plans to re-introduce the chick to its parents, once it is weaned. The Raggiana Bird-of-paradise (Paradisaea raggiana) is only found on the island nation of New Guinea. Their native diet consists mainly of fruits and arthropods, and the species is an important seed disperser of some fruiting trees in New Guinea. The beautiful birds are best known for their extravagant courtship displays. They are unique in that they are a lekking species. Up to ten males at a time are known to congregate in leks (display arenas for visiting females) in an effort to impress a potential mate. Males put on a display, which involves clapping of their wings and shaking their heads. Meet the latest “aaddition” to the Cincinnati Zoo: a little male Aardvark! Born on December 21 to mom Ali, the newborn is healthy and weighs just over four pounds. For now, the baby is bonding with Ali behind the scenes. Aardvarks are mammals, so the babies nurse from their mothers. They are nocturnal creatures, emerging from burrows at sunset to feed on ants at termites all night long. Aardvarks are found in all types of habitats south of Africa’s Sahara Desert. The Aardvark’s long snout is held close to the ground while foraging for food. Once ants or termites are detected, they Aardvark uses its strong foreclaws to dig out enough dirt to reveal the insects. Using its long, sticky tongue, the Aardvark can collect up to 50,000 insects in a single night. The large ears remain upright, helping to detect predators while the Aardvark is feeding. Aardvarks are not listed by the International Union for Conservation of Nature as being under threat, but some believe their numbers may be declining. Eastern Black Rhino calf, Kendi, was born three weeks ago at the Cincinnati Zoo & Botanical Garden. The new calf and his mom, Seyia, are now making brief appearances in their outdoor habitat at the Zoo. Kendi is only the fifth Eastern Black Rhino born in the last two years in North America, and the first to be born at the Cincinnati Zoo since 1999. There are fewer than 60 of his species in the entire North American Zoo population. When a Southern Three-banded Armadillo was born at the Cincinnati Zoo this spring, keepers selected a fitting name for the golf-ball-sized female: Pallina, which happens to be the name of the small white ball in a bocce set. Within a month of her birth on February 28, Pallina more than quadrupled her weight – the equivalent of a seven-pound newborn human weighing 32 pounds at one month of age! Pallina is the first offspring for parents Lil and Titan and the first Armadillo born at the zoo since 2011. Armadillos are known for their ability to curl into a ball, using their hard outer shell to protect their face and soft underside. The outer “armor” is made of keratin, the same material that makes up your fingernails. Southern Three-banded Armadillos are native to South America, where they inhabit parts of Argentina, Paraguay, Bolivia, and Brazil and feed on a variety of insects. Southern Three-banded Armadillos are listed as Near Threatened by the International Union for Conservation of Nature. Primary threats include habitat destruction as native grasslands are converted to farms. Hunting and capture for the pet trade also contribute to the Armadillos' decline. Fiona, the Hippo born six weeks prematurely at the Cincinnati Zoo, is making steady progress under the watchful eyes of her care team. Fans around the world follow Fiona’s journey toward health and independence, and she has become an internet sensation. 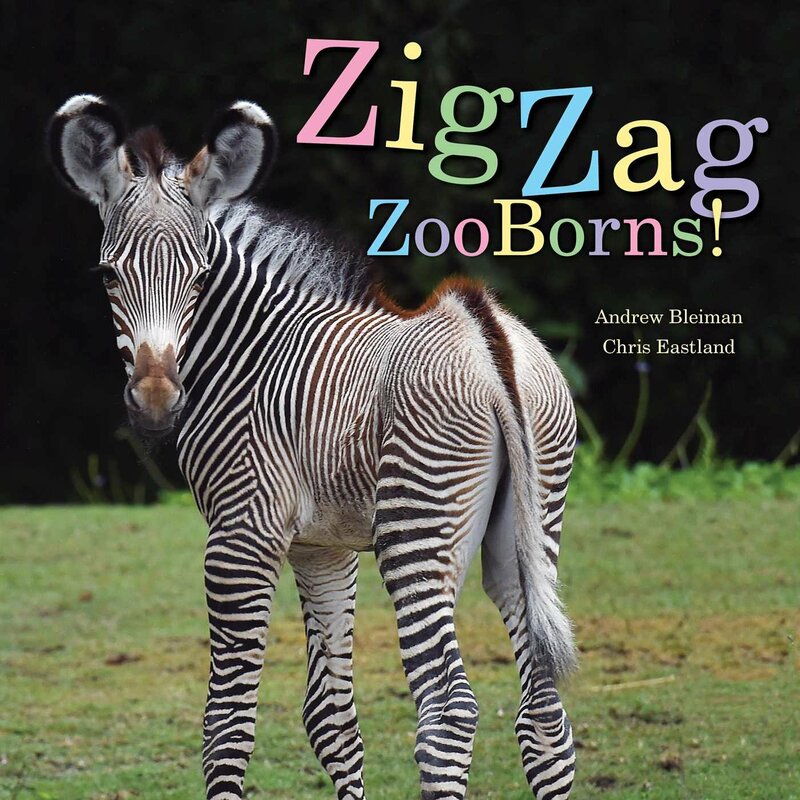 You first learned of Fiona’s premature birth here on ZooBorns. Because Fiona was born early, she was unable to stand on her own and nurse like a full-term baby would. As a result, her mother, Bibi, was not able to provide care. That’s when zoo keepers stepped in to assist the baby, who weighed 29 pounds – less than half the weight of a normal newborn Hippo. Since then, keepers have helped Fiona overcome many developmental hurdles, including learning to walk, swim, and nurse. Fiona now weights 150 pounds, and drinks more than 2.5 gallons of formula per day. Fiona is now mastering the art of navigating deeper waters. Hippos don’t actually swim – they float, sink, and push off the bottom with their feet, breaking the surface to take in a breath of air. So far, Fiona has been swimming in “kiddie pools” of increasing depth. Last week, zoo keepers introduced Fiona to the indoor pools used by her parents. The water levels will be gradually increased as Fiona becomes more confident. The most common question asked of zoo keepers is “When will Fiona be reunited with her parents?” The zoo staff explains that this is a gradual process that depends entirely on the Hippos’ reaction to each other. Because Fiona and her mother Bibi were not together during the first two weeks of Fiona’s life, they did not form a strong natural bond and Bibi likely does not recognize Fiona as her offspring. That doesn't mean that Henry and Bibi will not accept Fiona into the bloat (as a group of Hippos is called). But introducing a 150-pound baby to two adults who weigh more than 3,000 pounds each will be approached carefully. For now, zoo keepers allow Fiona to interact with her parents across a wire mesh barrier. The Hippos' reactions have ranged from curiosity to indifference. The staff expects the introduction process to be slow and completely guided by concerns for Fiona’s health and well-being. Fiona the Hippo has captured the hearts of hundreds of thousands of fans since her premature birth was announced by the Cincinnati Zoo and shared here on ZooBorns. Fiona was born six weeks premature on January 24 and was unable to stand and nurse from her mother, Bibi. After Bibi ignored her tiny baby, keepers decided to care for the baby in the zoo’s nursery. Under the expert care of the zoo’s staff, Fiona has grown from a mere 29 pounds (less than half the normal weight for a Hippo calf) to more than 100 pounds today. The zoo’s nursery staff has helped Fiona overcome several health hurdles, including underdeveloped lungs, finding the right milk formula for her, regulating her body temperature, and keeping her hydrated. No other zoo has raised a premature baby Hippo before. Fiona has learned to walk, including up a ramp leading into her exercise pool. She has learned to swim and exhibits all the normal behaviors of a Hippo. Keepers hope to reunite Fiona with Bibi and Henry, Fiona’s father. Bibi and Fiona were separated during the normal bonding time between mother and calf, so it is unlikely that Bibi will recognize Fiona as her offspring. However, the staff expects Bibi and Henry to welcome Fiona into the bloat just as they would any other new Hippo. Eventually, Fiona will become too large to be cared for in a hands-on manner by keepers. For now, Fiona and her parents can see and hear each other, but they are separated by a protective barrier. The staff will begin working to transition Fiona to the bloat so she can become a well-adjusted Hippo. After they were ignored by their mother following their birth on February 3, three Malayan Tiger cubs have been cared for by Cincinnati Zoo & Botanical Garden’s nursery staff. Now, the cubs’ care team includes the zoo’s four-legged, resident nursery companion and former nanny to several zoo babies: Blakely the Australian Shepherd Dog. The six-year-old super-dog has been called into action to provide snuggling, comfort, and a body for the cubs to climb on. The cubs, named Chira (because she was treated by a chiropractor), Batari (which means goddess) and Izzy (which means promised by God,) would have received similar cues from their mom. Because being with her is not an option, Blakely is the next best thing. His baby-rearing resume includes experience with Cheetahs, an Ocelot, a Takin, a Warthog, Wallabies, Skunks, and Bat-eared Foxes. Last year, to recognize Blakely’s nurturing nature, the City of Cincinnati proclaimed October 19 to be Blakely Day! “My team can feed and care for the Tiger cubs, but we can’t teach them the difference between a play bite and one that means ‘watch out’. So, that’s Blakely’s job,” said Strasser. “Just a little time with him at this early age will help them learn behaviors that will come in handy when they meet Tigers at other zoos in the future.” The cubs will move to the Zoo’s Cat Canyon this summer after they have received their last round of immunizations. Malayan Tigers are Critically Endangered, with fewer than 250 breeding-age adults living in the wild. Less than 100 of these Cats live in zoos, making these three cubs – and Blakely’s job as caregiver – incredibly important to the effort to save Malayan Tigers. See more photos of Blakely and the Tiger cubs below. Three Malayan tiger cubs born February 3 at the Cincinnati Zoo & Botanical Garden are gaining weight, opening their eyes and getting feisty! 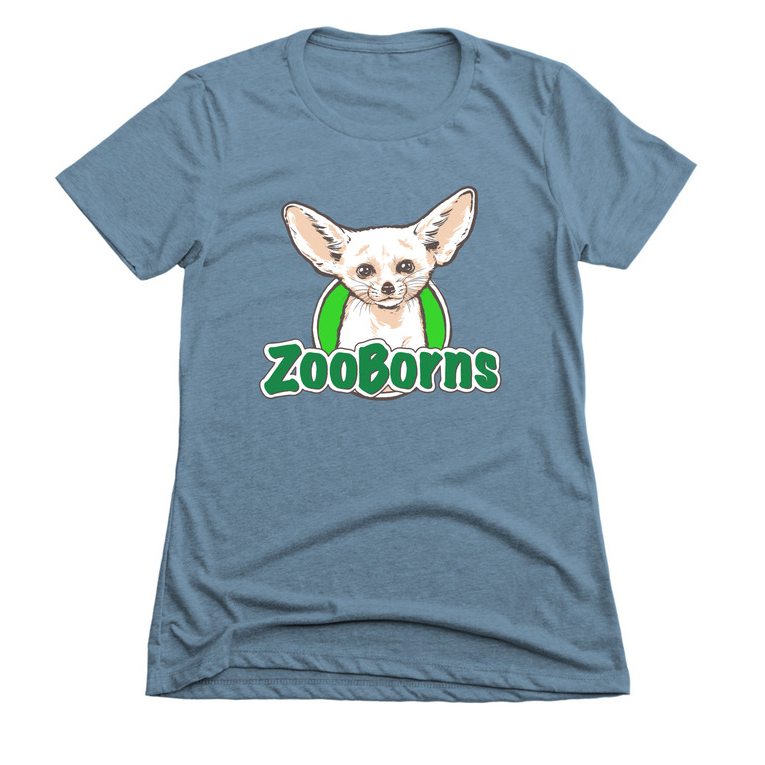 You first met the cubs on ZooBorns when the zoo announced that the trio would be cared for by zoo keepers because their mother did not care for them. Thanks to the staff’s dedication and hard work, the cubs are thriving. One of the cubs, referred to as #1 until the cubs’ genders are known and names are given, is receiving special care from a local chiropractor to help it keep up with the others. Soon after the cubs arrived in the Nursery, caregivers noticed that #1 was having trouble holding its head up. Strasser reached out to Dr. Mark Sperbeck, a chiropractor who works on humans and animals of all sizes (from 3-pound Tiger cub to 1,000-pound Horse) and asked him to make a house call. Three adjustments later, it’s difficult to see a difference between #1 and its litter mates. The neck and spine are back in place and the cub is eating well. It’s actually a little larger than the other two. According to Dr. Sperbeck, the cub’s top cervical bone (C1) was out of alignment. Since 95% of the body’s nerve impulses travel through this vertebra, he explained, it’s key to proper body function. “After the first adjustment, the cub slept for almost 24 hours and woke with improved mobility, strength and suckling ability,” said Strasser. This is the first time that the zoo has called in a chiropractor, but it has a long history of collaborating with experts from outside the zoo, including dentists, imaging technicians, medical specialists. Malayan Tigers are Endangered with fewer than 500 left in the world. Major reasons for the population decline include habitat destruction, fragmentation and poaching. More photos of the Tiger cubs below the fold!